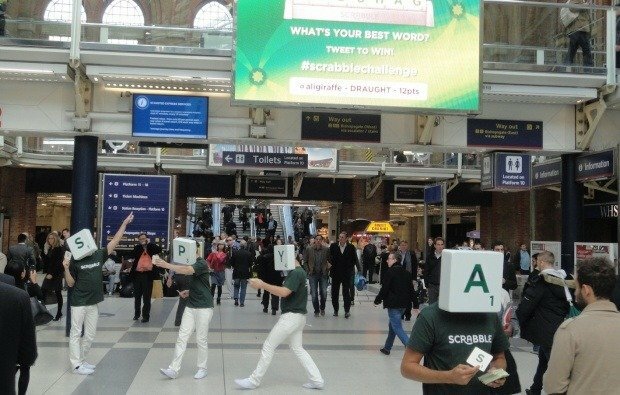 American toy manufacturer Mattel playfully promotes Scrabble on JCDecaux’s Transvision screens. We learn to play before we walk or even before we talk. Games give us a thrill, not just due to the interaction involved, but also the reward at the end of them. Playing games, however, is not just for children: in advertising it is something that is proven to drive interaction. Gamification is becoming increasingly used by brands as a tool to raise awareness and engage with customers at a deeper, more memorable level. One of the great enablers for gamification is digital technology, through computers, interactive screens and mobile. MediaCo Outdoor’s new CityLive network in Manchester is a prime example of touchscreen technology mingling with everyday life, while offering a chance to play at the same time. 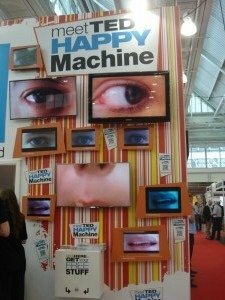 Media owners keep investing in cutting edge technology, but who is driving gamification adoption in OOH? Brands have been using online games to capture people’s attention for quite a while, so taking it onto the streets and public spaces is just an extension of this. On the creative agency side, using games can tangibly surpass what has been done before and can provide companies with real information on how well the campaign is doing, justifying the initial investment. Gamification works for brands because it is a means by which they can connect with customers for longer and more meaningfully. Engagement hot spots are emerging in most metropolises and the technology is also widely available. What is now needed is more outstanding creative content that explores the possibilities of gamification across all platforms.